I love where Iive. I’m not a native of these here parts but when I moved to Liverpool I just knew it would always be a very special place for me. It’s fascinating to walk along the docksides and feel the history, the sense of people’s emotions of those who have gone before. Now I’m joining forces with another journo to share the love – and it’s happening because we both moved on from our roles in regional newspapers and are creating new pathways for ourselves. When I left my job a few months ago I had a farewell lunch with my boss and, as journos, we couldn’t help but randomly throw wine-themed creative ideas around (helped along by one or two glasses of sauvignon blanc). My boss (I’ll call him Neil because that’s his name) suggested Fizz and Ships – and it struck a chord. How wonderful to share my love of wine with the fascination I have for this region. I knew exactly who to approach, my one-time colleague Peter Elson (above, right) who is THE journalist in the know when it comes to all things maritime in Liverpool. I also wanted to hold our launch event at The Chancery restaurant in the city centre as Gary Adlen supported me when I started down this wine glass-shaped future. There we have it – we’re setting sail with our new venture. Here’s the official press release, composed by Peter. 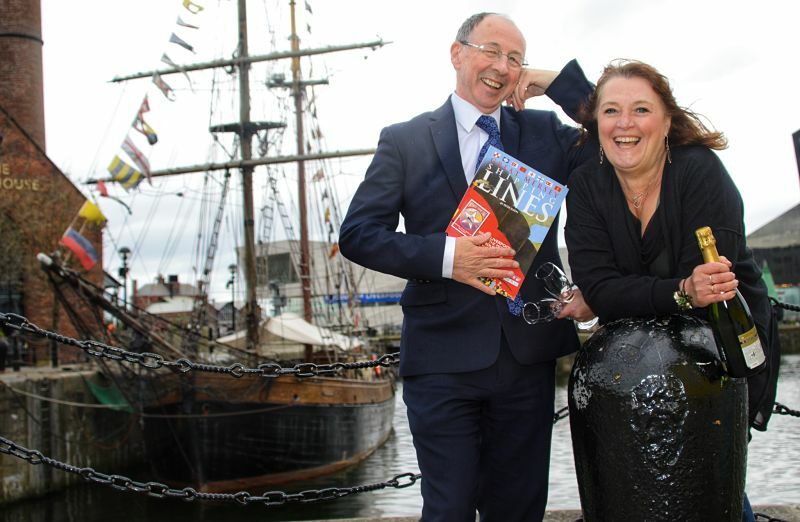 A NEW entertainment will be launched this month combining two of Merseyside’s favourite interests: Maritime history and drinking, in a fun but responsible way – obviously. The wine tastings will be interspersed with entertaining words and evocative pictures about the ships and the seafarers who made Liverpool’s name – and humour – world famous. Fizz And Ships will make its Maiden Voyage on Sunday, 27 May, 2018, at the Chancery Bar & Restaurant, with a two hour wine world cruise to give armchair sailors a taste of deep sea travel. 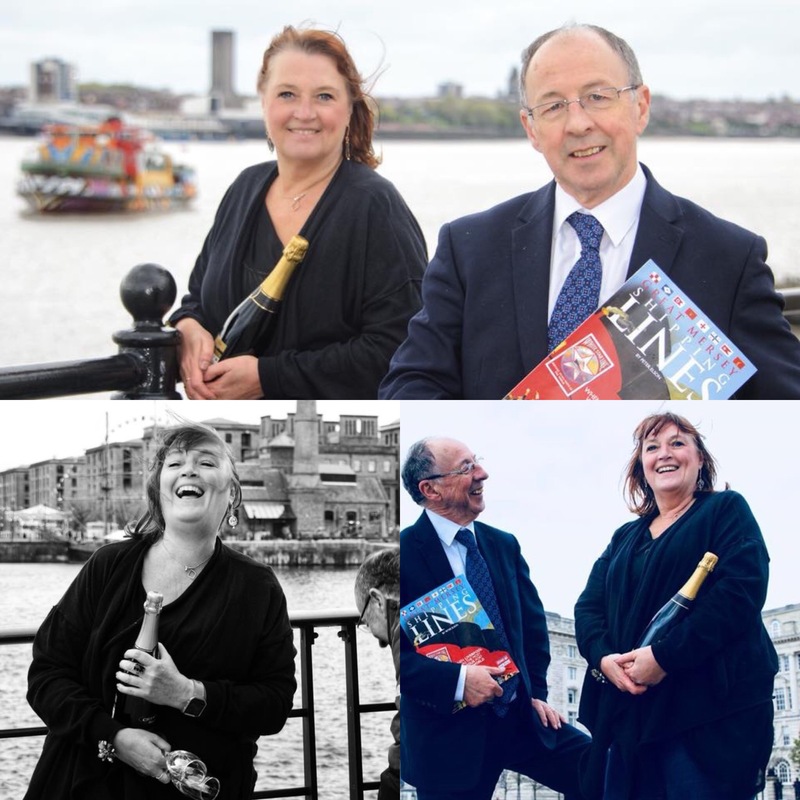 Jane, the wine lady, and Peter, the ship man, bring together their formidable experience of more years than they care to remember, to quench Merseysiders’ deep thirst for learning about these fascinating subjects. 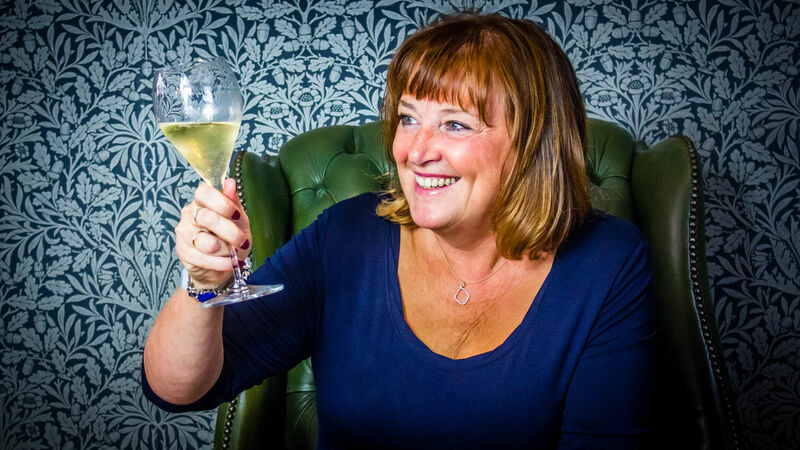 Fizz And Ships – The Maiden Voyage, at 3pm, Sunday, 27 May, The Chancery Bar & Restaurant, 98 Paradise St, Liverpool L1 3HE. Cost: £39.95 per head (includes five wines and a food platter). Call Jane on 0779 5121003 for details on how to book, or for further information. The summer vibe is beginning to crank up and just in time for picnics, parties and the occasional glass of something nice in the garden, Lidl has revamped its core wine selection with a collection of New World wines. It has also released its Lidl Wine Tour range and I nipped along to their latest tasting to explore the new releases. The Winemaker’s Selection wines are available all year round and Winemaker’s Selection Sparkling Sauvignon Blanc (£8.99, 12.5% abv) from Marlborough, has all the notes of a New Zealand savvie but with the added boost of a tickling fizz. In the line-up of the Wine Tour (once sold out, they’re sold out) is another sparkling sauvignon blanc, Forget Me Not Sparkling Sauvignon Blanc (£9.99, 12% abv) which hails from Slovenia. It has notes of green fruit (think pears and apples) and a shiver of gooseberry with a dryness of green pepper skin. It is refreshing for the warmer days. I loved the freshness of Velada Moscatel (£5.99, 7.5% abv) which has lovely light notes of honeysuckle and apricot; it is lght, it is refreshing, it is low in alcohol, it is perfect for sunshine sipping. A deliciously grown-up person’s pink Les Gourmandises Tavel Rosé (£6.99, 13.5% abv) from the Rhone is a blend of syrah, mourvedre and a dash of cinsault which together deliver cherry and redcurrant notes. A fabulous red, Outlook Bay Pinot Noir (£8.99, 13.5% abv) from New Zealand’s Central Otago has notes of burnt toast. Trust me … it is savoury and peppery and smoky with lots of blackberries. Clostre Brunel Saint-Chinian (£5.99, 13% abv) was ripe with plums and blackberries and I sneaked a glass to sip with Mexican nibbles (ssssshhhhhh our secret). There are some great whites too and this one had a Big Tick from me. Les Aubrières Chardonnay (£5.99, 12% abv) from the Loire Valley attracted a little “tasting” gathering. It has a flash of citrus (lime and lemon) with a hint of apple and whispers of stone fruit and a flower bed. It is fresh, it is slightly buttery, it is delicious.